For as long as there have been advertisers and agencies, there have been Client-Agency agreements. Contractual instruments, which are often referred to as “terms of divorce.” This is likely because one of their primary roles is to spell out the guidelines governing how each party must conduct themselves and identifying their respective obligations in the event a relationship is terminated. The fact of the matter is, a contract is much more than that. It is a binding agreement between advertisers and their agencies which should identify the terms and conditions that will govern all facets of the relationship, ranging from how an agency is to be compensated to the level of staffing that an agency will deploy on a client’s behalf, to the scope of work to be undertaken by the agency. An effective contract also asserts both parties expectations for how they will conduct themselves while providing a mutual understanding for how the agency will steward a client’s marketing investment from a performance, financial and legal perspective. 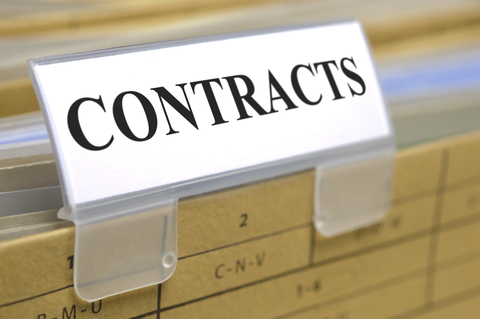 Unfortunately, when it comes to contracts, there are too few “industry standards” within the advertising marketplace, varied definitions for descriptive terms and too often a lack of clarity around what is being represented by certain aspects of the agreement language. These gaps create gray areas which are seldom understood, much less agreed to by both parties. Unchecked, these gaps can be costly, particularly to advertisers that aren’t supported by knowledgeable industry experts and attorneys with solid industry experience. As contract compliance auditors we have reviewed hundreds of Client-Agency agreements and have sat across the table from advertisers and agencies to help mediate gaps in understanding over even the most basic terms or representations. Examples include the definition of “Gross Media,” the assumption that individuals listed in an agency “Staffing Plan” are full-time employees of the agency (rather than contractors or part-timers) and or whether or not the awarding of work to agency affiliates is allowed, let alone how that activity is to be billed. It would not be unusual for a lay legal or procurement advisor assisting an advertiser in drafting or reviewing contract language to assume that the answer was 1) $2,000,000. Their assumption in this instance is that the agency’s commission would be calculated by multiplying the net media spend by the agreed upon commission rate. If the net expenditure was $85, the total cost would be calculated by multiplying or “grossing up” the net amount by 1.1765 to arrive at a total cost to the advertiser of $100. On the $100 gross expenditure the agency would earn $15 or 15%. $100,000,000 net media “grossed up” would be calculated by multiplying the net amount by 1.0204 to arrive at a gross amount of $102,040,000. Interested in a securing a second-opinion regarding the clarity and soundness of your organization’s agency agreements? Contact Cliff Campeau, Principal of AARM at ccampeau@aarmusa.com.